You don’t only receive a certain hint by the band name as such… As I had several times the honor to watch those Finns live on stage, I vaguely knew what to expect of this album: quite a dose of aggression, wrapped up in catchy rhythms and rhymes. Another comparison hard to avoid is Slipknot, but to my ears the Finnish version of this Extreme-but-still-Melodic-Metal sounds much more authentic. Plus, live on stage they have always been a treat already, even without masks and vertical-drumkit gimmicks. 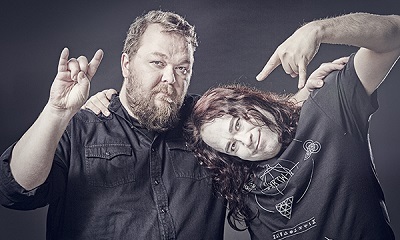 Maybe all that’s left to mention is the production team behind this album: Hiili Hiilesmaa (HIM, The 69 Eyes, Negative) mixed it, Svante Forsbäck (Sunrise Avenue, Amorphis, Jenni Vartiainen) mastered it at Chartmakers, for the recordings responible are Anzi Destruction, Jarno Hänninen and Tommi Salomaa. 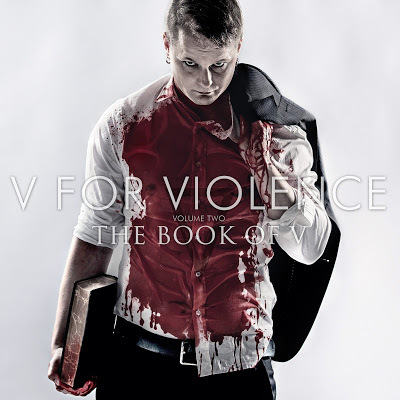 Featuring artists on ’The Book’ are Olli Vänskä (Turisas), Tommi Salomaa (ex-Wankers of the Zoo Crew), Anna Grundström (Milargo) and Mr Bunny with his bandmate Nooz (Cold Cold Ground – RIP).